of American Fork, UT, is the author of 10 books. Your premier source of information about the LDS book industry and writing markets. The LDS Writer's Market Guide gathers together the hundreds of publishers, agents, distributors, reviewers, magazines, newspapers, journals, libraries, contests, grants, bookstores, and more that serve the LDS market. Comprehensive listings of LDS publishers, imprints, newspapers, magazines, online magazines, and professional services. Listings for libraries; LDS bookstores, authors, and literary contests. Listings for LDS professional and trade organizations, blogs, and online resources. Listings for grants, legal help, writing education, and writing resources. W.W. Phelps & Co. Accepting Books Soon! W.W. Phelps & Co. is an exciting new service for LDS authors and readers — and it will be accepting books soon! Click here to find out more! 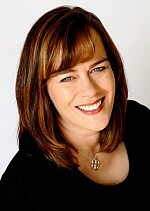 You can find the LDS Writer's Market Guide on Facebook at http://www.facebook.com/LDS.Publishers. The LDS Writer's Market Guide is regularly updated to bring you the most up-to-date information. The print edition of the Guide will be published bi-annually for the benefit of individuals and libraries. The online version of the Guide is updated throughout the year. Check back frequently as new LDS publishers, authors, bookstores, and others appear regularly. Update your listing now! Put your company or service in front of thousands of LDS authors, writers, musicians, and playwrights. Help them understand how to work with you to improve communication and product quality. Listings in the print edition of the guide and online are FREE. Register now! Copyright © 2006–2019 WindRiver Publishing, Inc. All rights reserved. No part of this website may be duplicated or framed inside of another website without permission. See our copyright policy for details.